Growing up, I didn’t exactly have a “hero” that I looked to as a role model. Most kids choose someone like a star athlete, or a superhero; me, I really liked Godzilla when I was a young’n. But even back then, I realized that he wasn’t real, he was a 400 foot fire breathing lizard who body slammed other monsters through buildings. Still, there are plenty of celebrities and the like that I can call my “favorites”. I grew up watching pro wrestling, so I was always a huge fan of such wrestlers like the Undertaker, the Rock and especially Stone Cold Steve Austin—the latter being an alcoholic redneck who gave people the middle finger and swore like a sailor. Obviously a great role model for 8 year old Jeffy. As I got older I strayed from pro wrestling and eventually became interested in normal sports. Hockey became my favorite of those, and I quickly became a fan of my hometown team, the Buffalo Sabres. I didn’t have a favorite player, though, until goaltender Ryan Miller burst onto the scene in 2005. It all stems from my days playing lacrosse in high school; I would slick my long hair back to put on my helmet, and according to everyone I knew, I looked like Miller. I started to see a resemblance, myself, so I ran with it. Now he’s probably my favorite athlete in any sport, and there’s a long-running gag amongst my close family and friends that I have a “man crush” on him. It’s purely platonic, I swear. I recently met Miller for the first time at an autograph signing. In the last year or so I’ve been lucky enough to meet several other Buffalo Sabres players, including former center Paul Gaustad, goaltender Jhonas Enroth, defenseman Christian Ehrhoff and, just yesterday, 23 year old center Cody Hodgson. Since I’ve gotten hooked on the Ultimate Fighting Championship, there are plenty of pro fighters I’d love to meet. I came into the sport too late to appreciate such legends like Chuck Liddell, Randy Couture or Matt Hughes, so my favorite combatants are mostly the newer stars who have emerged in recent years. I also tend to like the lighter weight fighters the most, given that I’m not exactly a giant or muscle head myself; this would be guys like bantamweight champion Dominick Cruz, “The California Kid” Urijah Faber, lightweight champion Benson Henderson, and current featherweight title challenger Anthony “Showtime” Pettis. While I’m a huge fan of all of these guys, I don’t necessarily strive to emulate them; the only human being I put continued effort into being like is Jesus Christ, and that’s for far different, deeper reasons than why I like an athlete so much. There are other gentlemen that I try to emulate for their talents, however, and those are successful writers who have influenced my own work. I always wish that J.R.R. Tolkien—legendary author of The Hobbit and The Lord of the Rings—could have survived into this age, just so I could see and read more of him. It’s because of his writing that the genre of high fantasy became a staple in literature, and since I’m such a sucker for all of that magic, knights, dragons and castles stuff, I hold his efforts in very high regard. Brian Jacques is another deceased author that I really admire for his work. His Redwall series of books was easily my favorite while I was in middle school, and in more recent years I read his Castaways of the Flying Dutchman series. Jacques breathed so much life into his books, between the extensive (and mouth-watering) descriptions of food , the bright personalities of his characters, those same characters’ unique dialects, the incredible backstory and history he added to his worlds. Straying into more realistic authors, Louis L’Amour is a writer that I’ve taken a lot of inspiration from. While I love his famous Western tales, it was his lesser-known stories about boxers that I particularly enjoyed. A few of the short stories that I’ve had published have been about mixed martial artists, and I can positively say that you’ll see influences of L’Amour’s style in my works about a different kind of professional fighter. A couple of authors who are still around and who I follow faithfully are Jeff Shaara, who has made his name writing historical epics set during America’s most famous wars, and young adult author David Clement Davies, whose anthropomorphic adventures (Firebringer, The Sight, Fell) are among my favorite novels in the last decade. 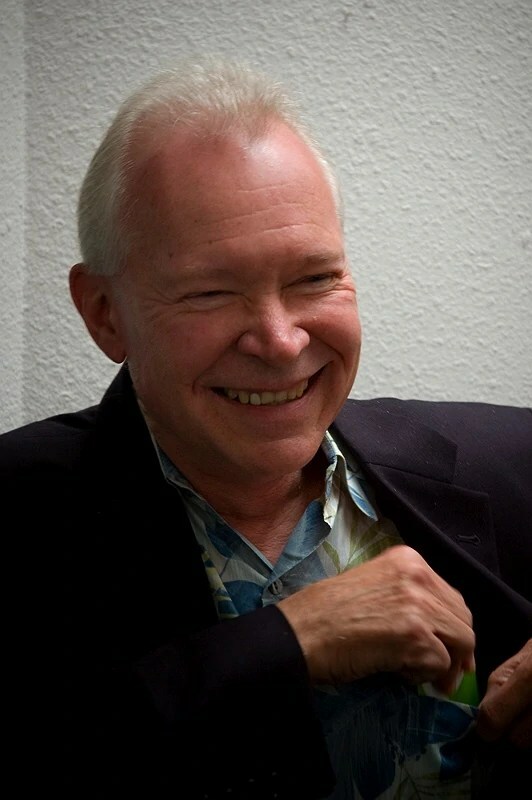 I would say that my favorite author at the moment would be Terry Brooks, author of the Shannara series of high fantasy novels. While I believe that The Lord of the Rings is the greatest story ever created, I feel that the Shannara books are the best fantasy novels out there. Brooks has grown tremendously as a writer since his debut novel The Sword of Shannara from 1977, which was a bit of a Tolkien knock-off. Brooks eventually went on to add a lot of his own creative flair to the world that he dreamed up for his novels, eventually going on to make a fantasy world that’s refreshingly unique and colorful in an era of media that either continues to copy The Lord of the Rings, or be gratuitously gritty and edgy. I feel I’m following Brooks—and going well beyond—when it comes to putting my readers in a fantasy world that’s a breath of fresh air among the rest of the genre. But what I take most from Brooks is his style of writing, which puts a heavy emphasis on a telling the story from the characters’ point of view, without jumping into a first-person style of writing. When I read his first few books, the technique occasionally threw me off, until I eventually realized how much it drew you into the action. When you know exactly what the hero is thinking, and when the narrator tells you what it’s like for the hero to witness all that’s occurring around them, it really breathes a lot of life into the words. I can only hope and strive to accomplish the same someday.